“My iPhone 6s was stolen, so my iPhone 6s contacts lost too! I usually sync iPhone with iTunes and I know there is a data backup on my computer, but how to recover my iPhone data? Frankly speaking, it’s a common phenomenon that your iPhone 6s contacts, photos, messages, and more data lost after reboot or factory reset. So how to quickly retrieve disappeared iPhone 6s contacts becomes the biggest question. If you lost contacts after mistakenly deletion(iPhone 6s crash, factory reset, iOS upgrade failure and so on), you can try this way. Step 1: Connect your iPhone 6s to computer. Download Tenorshare iPhone Data Recovery Software on your computer and connect iPhone 6S to this computer via a USB cable. Step 2: Start to scan your iPhone 6s for the lost data. It won’t take too long time. Step 3: Preview and recover lost contacts and other data you need. After scanning, all the contacts on your iPhone 6s are listed. Select the contacts you need to recover and click “Recover”. As long as your iPhone 6s data not overwritten, you can select this way. Step 1: Selected “Recover Data from iTunes Backup File” and click “Start Scan” to start iTunes backup extracting. Step 2: Preview and retrieve lost contacts. After a while, you can see all the data backed up .Select the contacts you need, Then click “Recover”. Step 3: Save Recovered Contacts. If your contacts have been backed up with your iPhone iCloud, you can try this way. Step 1: Select iCoud recovery mode and log into iCloud. Step 2: Scan iCloud backup. Select your backup contacts and click “Next” to download contacts backup. Step 3: Preview and recover contacts from iCloud backup. Now, you have known about how to recover deleted iPhone 6s contacts on win. If you want to know more about how to recover deleted iPhone 6s contacts on mac, you can try Tenorshare iPhone Care Pro on Mac Free. There are some users found that the Youtube icon on their iPad 2 disappeared after iOS upgrade, such as the recent iOS 9. Here are a few methods to fix can not find Youtube icon on iPad 2 after iOS update. The Youtube icon may appear in other screens after iOS upgrade, so you need to check all the screens to ensure that it is not just change a position. The new iOS system may disable you APPs including Youtube. Just tap on “Settings“>>“General“>> “Restrictions“>>Select “Apps“>>Make sure “Allow All Apps” is checked. This method also can be used to fix every missing Apps after iOS 9 update. Tap on “Settings“>>“General“>>“Reset“>>“Reset Home Screen Layout“ to reset your iPad 2. The old Youtube version may not compatible with the new iOS system, so you can try to reinstall the Youtube on your iPad 2. If the methods above can’t fix the Youtube icon missing problem for your iPad 2, you may need to restore your device. Connect your iPad 2 with computer, download, install and launch the newest iTunes on your computer. Once the software recognize your iPad 2, you can select your device under “Devices”, then select “Summary” and tap on “Restore”. After all methods above, you are very likely to find the missing Youtube icon on your iPad 2 after iOS update, just have a try! All of us need to know that we may lost iPhone data or app when we update iOS 8 to iOS 9.In fact, this question can be solved, all your lost can come back again! In this article, I will offer you 3 ways to recover iPhone 6/6s lost app after update to iOS 9. Both press the Lock/Power and Home button simultaneously untill the screen goes blank. Then press the Sleep/Power button alone to reboot the iPhone 6/6s. You also can try freeware ReiBoot to do a one-click soft reset. Turn off the iPhone completely. When you turn off the iPhone, all the cache and stuff will be cleared. So hold the Power button till the slider shows up, slide to power off and then restart the iPhone. 1.You can recover app directly from iPhone 6/6s without backup. 2.You can retrieve iPhone 6/6s app from iTunes backup. 3.You can restore iPhone 6/6s app from iCloud backup. Hopefully one of the methods could help you walk out of the “iPhone 6/6s apps disappear after iOS 9 update” problem .If you want to know more ways to recover app directly from iPhone 6/6s, you can click here. iOS 9 comes with a series of new features, I believe that many users are ready to upgrade their iPhone to iOS 9, but we know that there are some risks when you update your iPhone 6/6 Plus, like stuck in recovery mode during or after iOS 9 upgrade, and this article will teach you to fix iPhone stuck in iOS 9 recovery mode. Honestly, for the situations mentioned above, we can’t quit the recovery mode by the iPhone 6 itself, but need a third-party software, I happen to know a famous iPhone reboot tool named Tenorshare Reiboot which can fix iPhone 6 stuck in recovery mode with one click. It is easy-to-use and efficient, and it won’t cause any data lost while fixing iPhone 6 stuck in iOS 9 recovery mode. First, you need to download the free Reboot tool from Tenorshare on your computer, then install and launch the software(If you are a Mac user, you also can download the Reiboot for Mac to install). 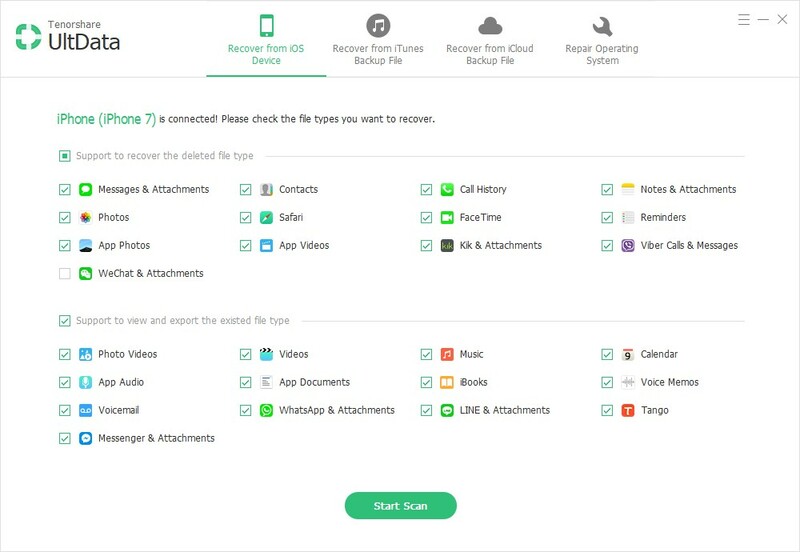 Once you launch the Reiboot software, you can connect your iPhone 6/6 Plus to PC, and when the software recognize your iPhone, you will find that the “Exit Recovery Mode” button change to highlight and you can click on the button to exit recovery mode on your iPhone 6. After a few seconds, the process is complete, and your iPhone is out of iOS 9 recovery mode. Besides, you can see there is another button named “Enter Recovery Mode”, it is the other function of Reiboot, and you may need it in some situations such as the silver Apple logo has been onscreen, with no change for many minutes. After reading this article, do you find that it is very easy to fix iPhone 6 stuck in recovery mode during or after iOS 9 upgrade? If you do, please give it a try! Windows 10 is available for upgrade now, and many users has been updated or planning to update their PC to Windows 10. There are two ways to install Windows 10 on your computer, automatically upgrade to Windows 10 or make a bootable disk to install Windows 10. Maybe someone will ask as long as we can upgrade our computer to Windows 10 automatically, why would we choose to create a bootable disk to install Windows 10? The truth is through the flash disk can offer faster read/ write speeds, in additions, if your computer don’t have a DVD drive, you have no choice to create a bootable disk. Step 1: Download Windows 10 media creation tool. You can download 32-bit (x86) or 64-bit(x64) according to your old system. Step 2: Install and open the media creation tool, select “Create installation media for another PC” and and click Next. Step 3: Select the information such as language, edition you need and click Next. Windows 10 Home Edition: Currently running Windows 7 Starter/7 Home Basic/7 Home Premium8/8.1/10 Home. Windows 10 Pro Edition: Currently running Windows 7 Professional/7 Ultimate/8 Pro/ 8.1 Pro/8 Professional/8.1 Professional/10 Pro. Step 4: Choose USB flash drive and click Next to follow the rest of the steps. Note: You also can select ISO file. It will create a bootable Windows 10 USB DVD, but we suggest you to choose USB flash drive. When all the process is done, you successfully create a bootable usb disk, now you can use this disk to upgrade your computer to Windows 10. Although it is a good way to install Windows 10 on your computer, but there are also some risks, such as crashes, blue screen, so you may need a third-party software to help you, for example, Tenorshare Windows 10 Boot Genius, which is easy to fix frezzes or blue screen problem when or after Windows 10 upgrade. iOS 9 was launched after Apple WWDC, although the latest version has both good and bad points, I believe that many users will love to upgrade iPhone or iPad to iOS 9. Based on the experience before, typically there will be some problems happened during or after iOS update, for example, frozen up when update your iPhone to iOS 9, you might even lose data on the iOS devices. 1. Hold down the Home button and Power button simultaneously for at least 30 seconds until you see the Apple logo. 2. If you can’t hard reboot your iPhone/iPad, there is a third-party tool named ReiBoot you can try, the software can fix your frozen iPhone or iPad by a few steps. 3. If your iPhone/iPad restart-loop or gets stuck on red iTunes logo, you need to restore your iOS devices. When you get rid of the situation of frozen up, you might find that your iPhone data was gone, so now the problem is how to recover your iPhone or iPad lost data. If you have synced with iTunes before, you can recover lost data in iTunes, but if you don’t, you need to figure out some other ways. If you have any backup, how to fix it? Don’t worry! You still have chances to get your lost iPhone data back, only need a iOS Data Recovery software. The current data recovery software can help you recover lost iPhone data directly from your iOS devices. Before you recover your lost data on iPhone or iPad, you need to go through the setup process for iOS 9 update again. But the methods above guarantees that your frozen iPhone or iPad is fixed. In addition, you also fix the data lost problem. Bookmark feature in Safari. User can collect the websites that are loved or record some useful information. However, the space in iPhone is limited and bookmarks in iPhone are easy to lost in some accitental situations like deleting, factory resetting, iOS crashing,etc. So, it is better to move bookmarks from iPhone to Mac computer which is safer. There is two ways can help us transfer iPhone bookmarks in Safari to Mac computer. iCloud is a useful function developed by Apple, it enable user use their personal files between different Apple devices. Read ahead to learn how to use iCloud to sync bookmark. Firstly, you need to go to Settings and find iCloud optoion to log in iCloud with your Apple ID. After loging, you can see there are many apps below, make sure safari sync is enable. Then, your Safari data including bookmarks will be sync to cloud server regularlly. After syncing bookmark from iPhone to iCloud, you need to operate on your Mac computer. Open System Preferences in Mac OS, go to iCloud. Samely, enable Safari sync. Well, finish！ You can see the bookmarks in your iPhone Safari also appear in your Mac computer Safari! This kind of program not only can be used for iPhone data recovery, but also iPhone data transfering like bookmark transfering from iPhone to Mac. launch Tenorshare iPhone Data Recovery for Mac on computer, you will see Recover from iPhone and Recover from iTunes modes. Both of them can help you move iPhone Safari bookmarks to Mac computer. Hundreds of options are lying before you when choosing a video converter. However, this always makes you confused: How can I choose the best video converter? Which one is the right video converter for me? The following are some useful tips for choosing a good free video converter on Windows and Mac. A free video converter only has limited functions. But you can find a free video conversion tool that handles most of the basic video conversion. Choosing a better free one often saves a lot of time and trouble. Here we list some basic factors you should consider when searching for a tool to convert videos to a different format. The first thing you should do is to make sure the free video converting software can handle the type of file you need to convert. If the video is WMV, MOV, AVI or some basic file types, this can be easy. But if it is a unique one, you should pay special attention to its supported file types. When you make sure this tool can convert your files, you should also consider whether the output format is the one you want. If your media player or portable devices are unable to play it, all you have done is in vain. A fast conversion is always preferred by users. No one wants a video conversion process takes almost 10 minutes or more. If it can support batch conversion, that would be better. Some video converters are really fast but the output file is disappointing. Video freezes, audio stops playing, screen turns red or green, and etc. These are common for some free video converters. Be careful when adjusting video size, bit rate and more settings. One of the most important factors when choosing a video converting tool is its simplicity. The best program should have a user-friendly and straight-forward interface that can guide both skilled users and novices through the process easily. Sometimes a multifunctional video converter can be equipped with video editing features. You can cut the size or length of the video and add watermark or subtitles or more. Of course, you’d better not expect too much about a free video converter. The best case is to find something that can be used for free while your needs are simple. If you have more complex needs, you may need to consider a more advanced video converter tool, which is likely to cost money. According to the requirements listed above, we present 3 free online video converters that stand out from others. Tenorshare Free Video Converter offers an all-in-one video and audio formats conversion solution. It helps convert various video files such as MP4, MOV, MTS, AVI, FLV, MKV, so that they can be played on different devices. You can also set different video and audio parameters, select video encoder, and etc. Friendly interface and step to step user guide make it easy for users of different levels. FormatFactory is an ad-supported freeware multimedia converter that can convert video, audio, and picture files. It supports the following formats: 3GP, MPG, MKV, FLV, AVI, MP3, JPG, PNG and more. It only supports Windows system. Zamzar is a free online video converter service that supports most common video formats. The file formats supported are split into 5 categories: Document, Image, Music, Video and other formats. It is easy to use. Just visit the website, upload your original file, choose the format you want to convert your file to, and click Convert. Since this service is provided through a web browser interface, it can be supported on those browsers which run on Windows, Mac, and Linux. iCloud is a good service provided from Apple to users to store their Apple device data in cloud server. 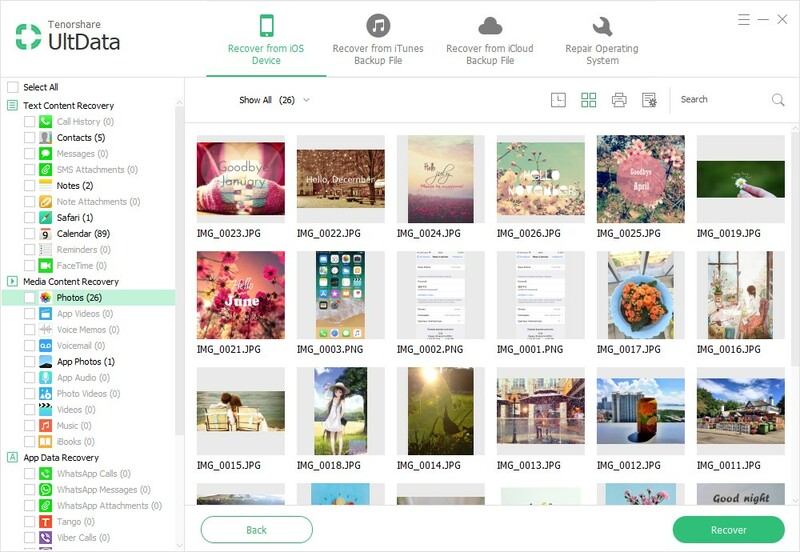 With the help of the online storage space, users can backup their iPhone, iPad, iPod, Mac computer data easily. And, if you lose data accidentally from your Apple devices, you can easily restore from iCloud server. iCloud has another good features for data sharing, you can share a iCloud account with your families or friends to transfer different data including photos, videos, schedules, contacts, calendar,etc, but also is convenient for you to transfer your own data between different devices. Lost or forgot your iCloud account (Apple ID)? However, in modern digital age, people have so many accounts for different purposes. So, it is hard to remember all accounts’ information even if we can record them somehow. When you forget your iCloud account information, especially, the password, you must be hurry to find ways to remove iCloud password. To unlock iCloud in password forgetting situation, we can take measures in two ways. Indeed, Apple provides password recovery ways for iCloud user. 1. Go to My Apple ID (appleid.apple.com). 3. Enter your Apple ID, then select “Next”. 4. Select “Answer security questions” as your authentication method. Select Next. 5. Select the birth date associated with your Apple ID, then select Next to begin answering your security questions. After answering your security questions, you’ll be asked to enter and confirm your new password. Select Reset Password when done. If you forgot your Apple ID name, follow these steps to change your Apple ID password. 2. Click “Manage your Apple ID” and sign in. 3. If you have two-step verification turned on, you’ll be asked to send a verification code to the trusted device associated with your Apple ID. If you’re unable to receive messages at your trusted device, follow the guidelines for what to do if you can’t sign in with two-step verification. 4. Click “Password and Security”. 5. In the “Choose a new password” section, click Change Password. 6. Enter your old password, then enter a new password and confirm the new password. Click Save when done. Unfortunately, if you can’t use official ways to recover password for iCloud, for example, you also forgot the E-mail or answers of security questions, how do you get back your password? If official ways can’t recover iCloud password, user may search for free iCloud unlocker, free iCloud password remover or something like that on the web. Of course, some password recovery program can help me get back or access iCloud to get back backup. iPhone Backup Unlocker is dedicated to recovering lost iTunes and iCloud backup password for iOS devices including iPhone, iPad, and iPod, and enabling forensic access to address books, call logs, SMS archives, voice mail and email account settings, applications, and so on in these backups. Moreover, it ensures you no data loss or damage to your backup data. Indeed, the types of backup data in iTunes is the same as iCloud, so, we can try to recover or remover iTunes backup file password to restore lost iPhone, iPad, iPod data.